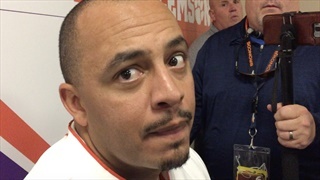 Clemson's secondary was blistered by South Carolina this past Saturday and safety Tanner Muse heard a lot of critisim from Tiger fans, but he hasn't lost sight of who he plays for. 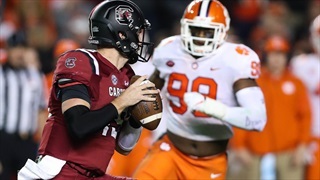 The roles were reversed Saturday night in Death Valley as Clemson's offense had to pick up the slack for the Tiger defense against South Carolina. 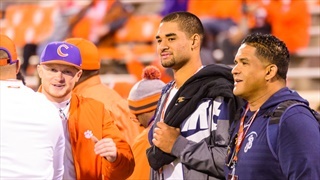 The top-rated prospect in the 2020 class sat down with ClemsonSportsTalk.com to discuss his recent visit to Death Valley, his heritage, and his potential to impact Clemson in more ways than one. 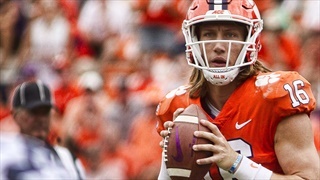 Clemson had a trio of stars recognized by the Atlantic Coast Conference as players of the week. 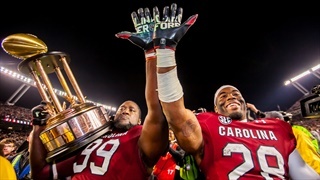 Clemson’s 744 yards were their most against South Carolina in series history, surpassing the 622 yards gained by Clemson in the 2016 contest. 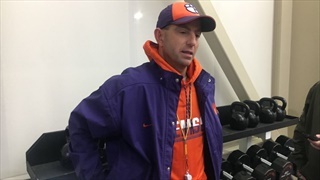 Dabo Swinney: "If 12-0 ain't good enough, it's time to seek other places"
Swinney was fired up over some of the things he read and heard following Clemson's 56-35 win over South Carolina. It wasn't the euphoric beatdown most people were expecting. 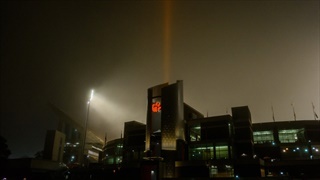 But like the Death Valley fog, Clemson's offense rolled on what was a record-breaking night for both sides in this rivalry. 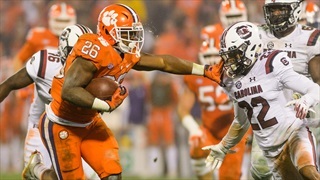 Senior running back Adam Choice scored three touchdowns, while sophomore Tee Higgins added 142 yards receiving giving Clemson their 5th consecutive win against South Carolina. 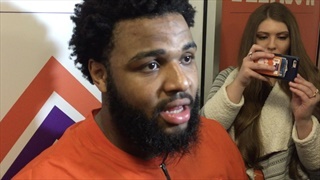 We had a chance to catch up with several Tigers following a fifth straight victory over the Gamecocks on Saturday night. Clemson looks to complete a perfect regular season during tonight's matchup with South Carolina. 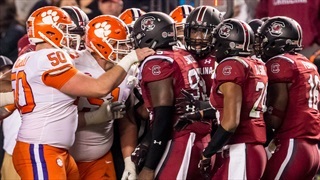 Clemson enters as heavy favorites over their in-state rival South Carolina as the Tigers seek a fifth consecutive win in the series. As we close in on kickoff, we've got a few last minute notes on today's matchup. 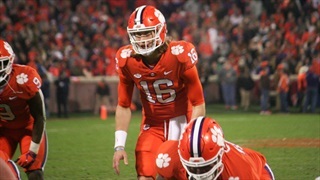 Clemson's emergence as one of the top teams in college football has come with several benefits for Tiger fans, including a chance to answer the Gamecocks' recent five-game winning streak with one of their own. One outlet states "Clemson has reached Alabama status." 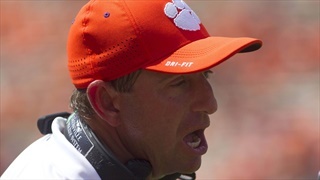 The only thing standing between Clemson and a 12-0 regular season is the Palmetto Bowl. 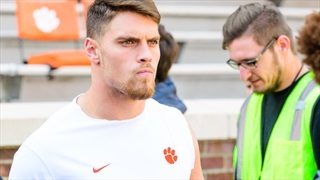 With a win, Clemson's seniors would deliver the Tigers fifth consecutive win in the series. 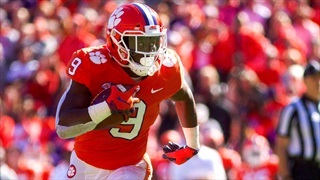 Clemson looks for a 5th consecutive win in the Palmetto State Rivalry. 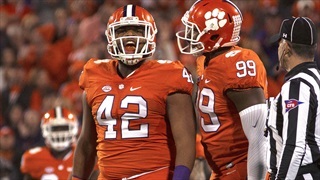 Clemson's senior class can deliver a fifth consecutive win over South Carolina, but finishing the regular season 12-0 for the second time in four years is truly the measure of what the Tigers have become. 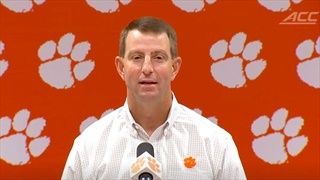 Dabo Swinney spoke to the media on the night before Thanksgiving and updated us on Hunter Renfrow. Swinney also spoke on how dangerous a returner Deebo Samuel for South Carolina is. 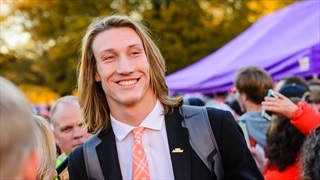 Clemson attempts to win their 5th consecutive game against South Carolina, with a third different starting quarterback, as freshman Trevor Lawrence enters the rivalry.